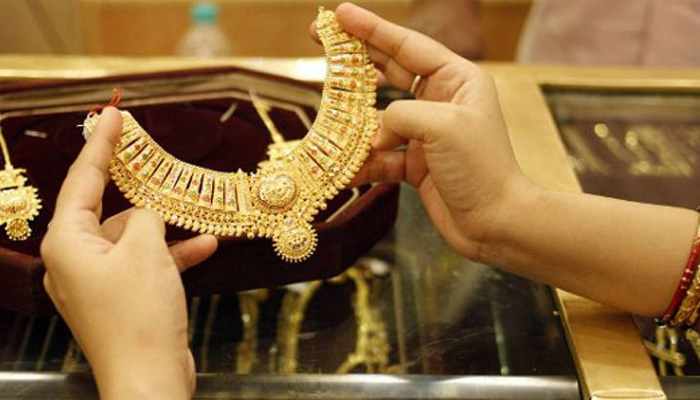 Earlier, the gold price reduced twice and now there is a sharp rise in the price of this precious metal in the capital. This time the price of per bhori gold (11.664 grams) will be hiked by Tk 1400. The price went down in September last in this year. And the new price will come into effect on Sunday next (November 26, 2017). A press release by Bangladesh Jewelers’ Association (BJA) says about the price hike. The press release also claimed that the price is fixed based on the international market rate. The newly formed price list of BJA shows that the best quality (22-carat) gold per bhori will be sold at TK 49,222. And the price was Tk 47, 822 before the rise. The price has increased by Tk 1400 in per bhori. The 21-carat gold will be sold at Tk 47,006 until the further decision or price fixing. And it was K 45, 723 before the price rise. The increase is by Tk 1283 for this type of gold. The 18-carat gold price has a rise by Tk 1166 and it will be sold at Tk 41,407 which was 40,241 before. But the price of silver is unchanged. The 21-Cadmium silver per bhori is being sold at Tk 1050.